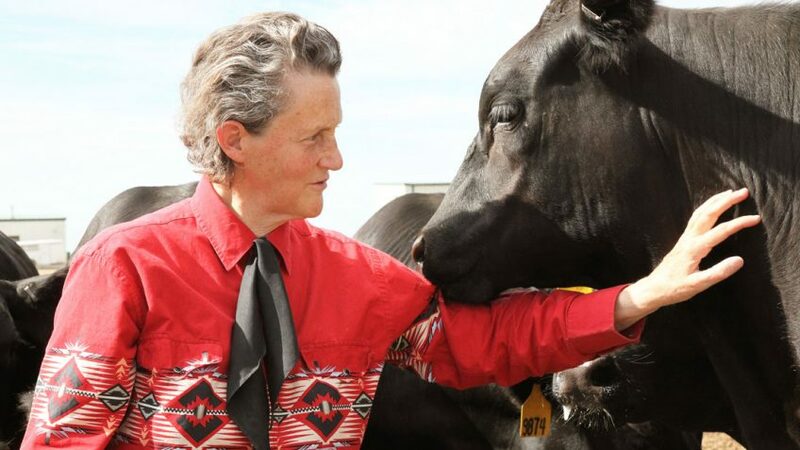 World-renowned animal behaviorist and welfare advocate Temple Grandin is coming to North Carolina State University next month. Grandin is scheduled to give a talk, “Different Kinds of Minds Contribute to Society,” at 7 p.m. Jan 10 at Hunt Library. The talk is free and open to the public, but registration is required. Tickets are available Dec. 20. Registration information is found here. The talk is hosted by the Student Chapter of the American Veterinary Society of Animal Behavior (SCAVSAB) and NCSU Libraries. SCAVSAB will also host a private lunch chat with Grandin for NC State College of Veterinary Medicine (CVM) students and faculty on the CVM campus prior to the evening lecture. The lunch talk will focus on veterinary sciences. Kate Thompson, CVM Behavior Club president, invited Grandin to campus and says she was excited to discuss animal behavior with both the veterinary college and the public. Grandin, a professor of animal science at Colorado State University, is best known as a designer of innovative livestock handling techniques and facilities shown to improve the welfare of cows, chickens, pigs and other animals. She has written extensively on how to reduce stress on animals during handling and transportation. Barbara Sherman, a clinical professor of veterinary behavior at the CVM. Sherman says Grandin’s chute designs for moving cattle are widely used in North Carolina. Some of her Grandin’s recent work has focused on helping dog owners appreciate their pets as highly cognitive beings, says Sherman. “She has changed the world with regard to the welfare of animals,” says Sherman. “Over her lifetime, her chute design for cattle for pigs and her advocacy for better, more humane housing for chickens have improved the lives of literally millions of animals. Diagnosed with autism as a young child, Grandin earned a bachelor’s in psychology from Franklin Pierce College before earning a master’s in animal sciences from Arizona State University and a Ph.D. in animal science from the University of Illinois. Grandin has authored several books, as well as hundreds of articles in scientific journals and livestock magazines. She has received numerous honors for her work, including being named one of the 100 Most Influential People in the World by Time magazine. This year, Grandin received the Meritorious Award from the World Organization for Animal Health and was inducted into the American Academy of Arts and Sciences. An eponymously titled biopic about her life was released to large acclaim by HBO in 2010. Claire Danes won an Emmy for playing Grandin.